Our experienced Interim/Outsource team brings years of experience in financial and accounting management, treasury, business planning, special projects, and many other elements of business management and planning. See more about our Interim Outsource services here and our Planning & Feasibility services here. Geoffrey R. Chinnock, CPA, has more than 15 years professional experience in finance, accounting, and business, serving since 2007 with Morrison & Company as an advisor to clients involved in marketing, processing, agribusiness, distribution, manufacturing, and production agriculture. Geoff’s manages Morrison’s Interim/Outsource practice area, guiding a broad range of clients from small businesses to companies with international operations. Geoff assists clients in managing key relationships, such as vendors, financial institutions, and insurance providers; directs short and long range financial forecasting; assists with cash flow management and inventory management; and manages internal staffing with a focus on professional development. Geoff’s expertise encompasses cost controls, systems improvement, and finance/accounting efficiency. He has served several clients as an interim CFO or controller, leads many of Morrison’s executive recruitment searches, and conducts planning and feasibility projects in addition to writing competitive grants. Geoff joined Morrison & Company after three years with the finance and accounting department of Feather River Hospital in Paradise, California, where he played an integral part in the hospital’s financial management. Prior to joining Feather River Hospital, Geoff served with local and regionally based CPA firms for four years, providing advisory, tax, audit, and financial services to independent business clients. He holds a bachelor’s degree in business administration with an emphasis in accounting and is a member of the National Society of Accountants for Cooperatives, serving on the National Society of Accountants for Cooperatives Far Western Chapter Board. He is an alumnus of the Butte Civic Pioneers leadership program. Consultant Tim Peters, CPA, joined Morrison & Company in 2011 and brings his expertise in finance, accounting, and business planning and management to serve our Morrison clients in the development, maintenance, and oversight of business processes and systems. Tim assists Morrison & Company clients in industries including agribusiness, alternative energy, manufacturing and processing, distribution, and marketing, with a focus on cost controls, cash flow budgeting and management, financial reporting and analysis, business efficiency, and short- and long-range planning. Prior to joining the Morrison team, Tim worked for Matson and Isom (now KCoe Isom), the region’s leading public accounting firm. While there, Tim worked in the firm's tax and audit departments, assisting both locally-owned and investor-owned companies in agribusiness, healthcare, and a variety of other industries. Tim grew up in Willits, CA, and is a graduate of California State University, Chico, where he earned a degree in accounting and received the 2006 Harry L. Jefferson award for excellence in accounting. He is a member of the Chico Chamber of Commerce’s Young Professionals Organization and the National Society of Accountants for Cooperatives. Consultant Carolyn Kanabrocki, CPA, is part of the Morrison & Company Interim/Outsource team, bringing expertise in management, finance, and accounting. She serves Morrison & Company clients in industries including food and agribusiness, alternative energy, manufacturing and processing, distribution, and marketing, with a focus on management, finance and accounting efficiency, cost controls, systems improvement, feasibility studies, and short-and long-range planning. Prior to joining the Morrison team, Carolyn worked for Sierra Nevada Brewing Co. for eight years, reporting directly to the Chief Financial Officer. There she directed all accounting and treasury functions; worked on the implementation of budgeting, long-term planning & forecasting software; supervised cost accounting; and provided internal reporting for both production and sales. Other previous positions include Accounting Manager for Bickmore Risk Services, where she was responsible for oversight of accounting activity for multiple clients in the group self-insurance industry. She began her career in public accounting with Perry-Smith LLP (now part of Crowe Horwath LLP), with a focus on banking, healthcare, and joint power authorities (JPAs). She and her husband own two popular local restaurants, which they started from the ground up. Carolyn holds a bachelor’s degree in business administration with an option in accounting from California State University, Chico and serves on the finance committee of the Boys and Girls Clubs of the North Valley. She is a licensed Certified Public Accountant. Consultant Dean Pritchett, CPA, brings over a decade of professional accounting experience to the Morrison & Company Interim/Outsource team. Dean has served a wide variety of industries including service in controller-level and advisory positions. His focus has included management of accounting functions, accounting and business impact of business decisions, internal control structures, financial reporting and audit preparation, and multi-entity accounting and consolidation. Prior to joining Morrison, Dean worked as Accounting Director for RevLove LLC, which specializes in asset protection planning, tax strategies, cash flow analytics, and other financial planning. He managed the accounting function of the company and its parent and sister companies, as well as prepared tax returns and providing accounting services for clients. Dean previously served as a Senior Assistant Controller for Oracle Corporation, with controller-level responsibilities for financial records and reporting for the North America Hardware and Consulting business lines. Dean’s experience includes six years in public accounting, including four with the west coast regional accounting firm Macias, Gini & O'Connell LLP (MGO), where he managed audit engagements, researched complex accounting issues, and assessed potential accounting methodologies and their related financial statement impact. 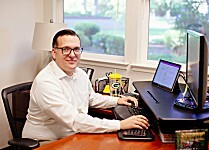 Dean graduated from Pennsylvania State University in 2008 with a bachelor's of science in accounting and is a licensed Certified Public Accountant.